The North American Versatile Hunting Dog Association (NAVHDA) is a unique and valuable organization for gun dog owners, trainers, and breeders. Spangler has raised NAVHDA Versatile Champion gun dogs and appreciates the insights into his dogs that the group’s training meetings and tests offer him. As a member of the organization he enjoys the welcoming environment at NAVHDA field tests and the measurable standards on which his dogs are judged. These field tests are given by local groups once or twice per year and National Tests are conducted each year for dogs who score well enough on the Utility Test. Dogs who score highly enough at the National Invitational are awarded the title of Versatile Champion. Beyond the tests, NAVHDA groups hold regular gatherings. Spangler’s mid-Ohio NAVHDA group meets monthly at Delaware State Park; these monthly training sessions and group outings are for the dogs to work on test preparation and basic obedience. Once a dog has completed the rigors of NAVHDA tests, Spangler can be confident that he has a loyal, adept, and reliable hunting companion. 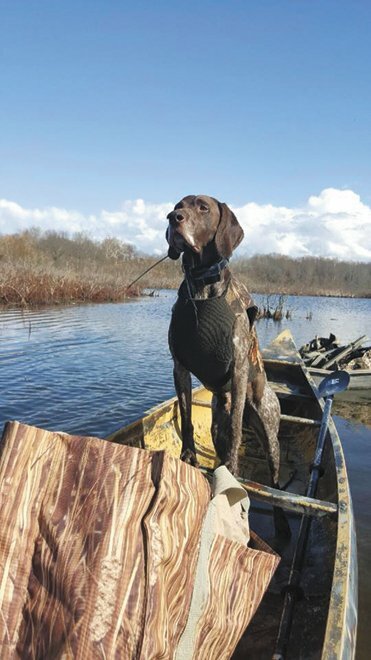 And Spangler is passionate about chasing woodcock, grouse, ducks, and geese across the southeastern Ohio countryside with his canine companions. For Spangler, it is the ultimately the dogs that fuel his interest in this sport. NAVHDA’s website is navhda.org. More information on Steve Spangler’s dogs and breeding program can be found at fairfieldsgundogs.com.